Can the world live on renewable energy? 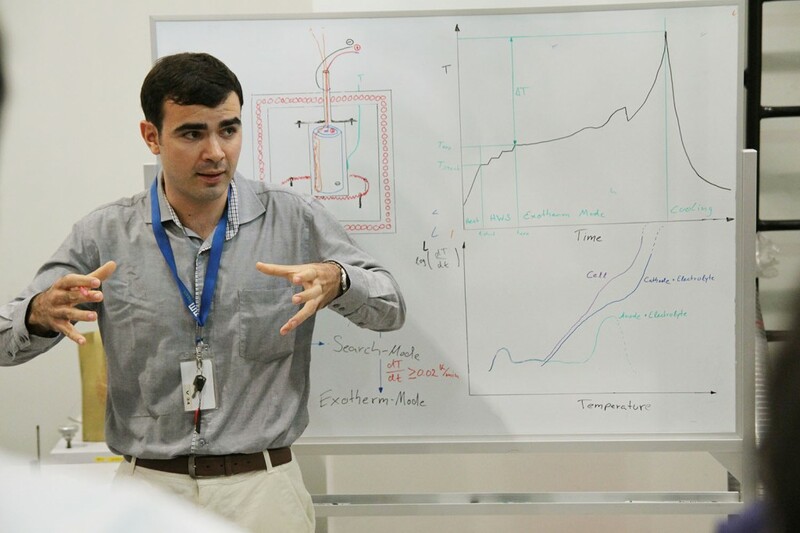 What is the heart of electromobility? What does electrifying cars mean for Singapore? 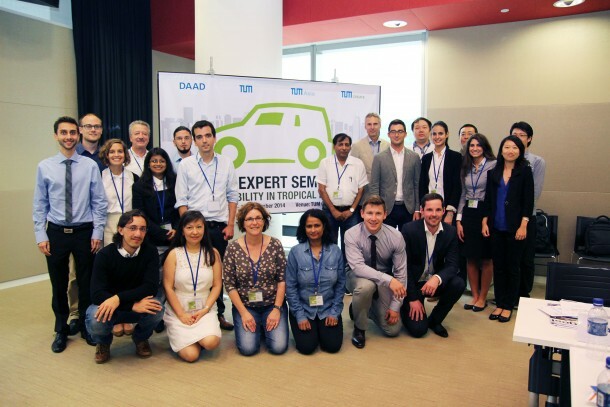 These were some of the topics discussed at the TUM Expert Seminar: Electromobility in Tropical Megacities, held in cooperation between Technische Universitaet Muenchen (TUM) and their subsidiaries TUM Asia and TUM CREATE, with support by the German Academic Exchange Service (DAAD). Such seminars are conducted on a regular basis for TUM alumni every year, with this particular seminar being held in Singapore. 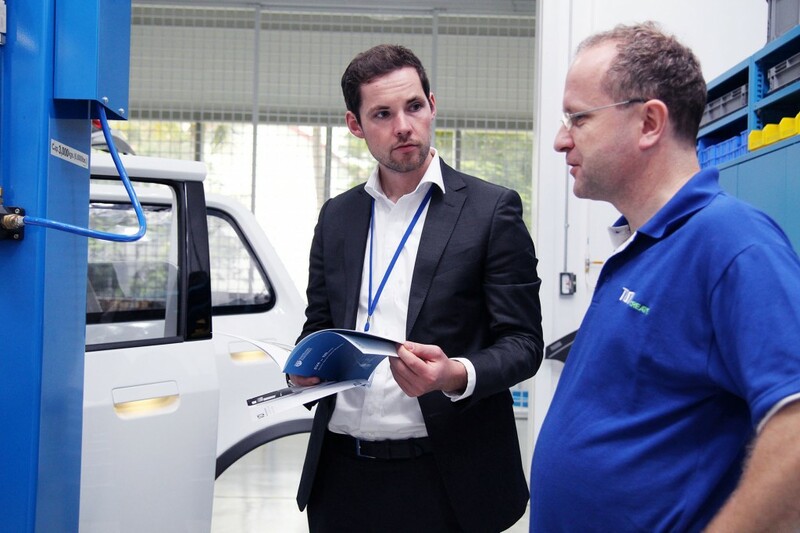 Electromobility is one of the major themes of our times and ranks among the leading fields of research at TUM. Researchers are investigating all aspects of this topical subject-matter on an interdisciplinary level. The 4-day seminar addressed relevant technical, social, and political issues connected with e-mobility, with strong relevance to Singapore. The participants – all of whom have studied or conducted research at TUM – hailed from all parts of the world, from Germany, Australia, Jordan and Nepal, among others. 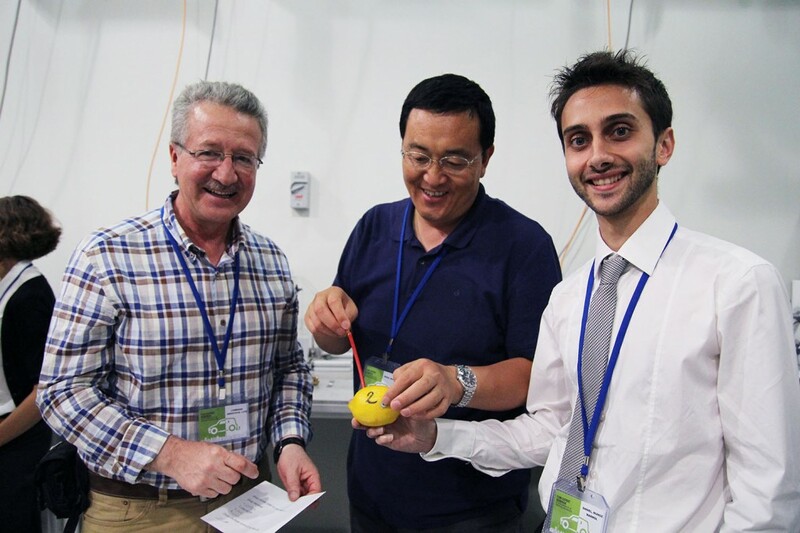 They were able to discuss with other TUM alumni and TUM scientists, as well as the industry from across the globe. “E-Mobility receives a huge amount of interest in our society at present. E-Mobility solutions are increasing in Singapore, and all over the world. Singapore has the most favourable environment in South East Asia for education and research. 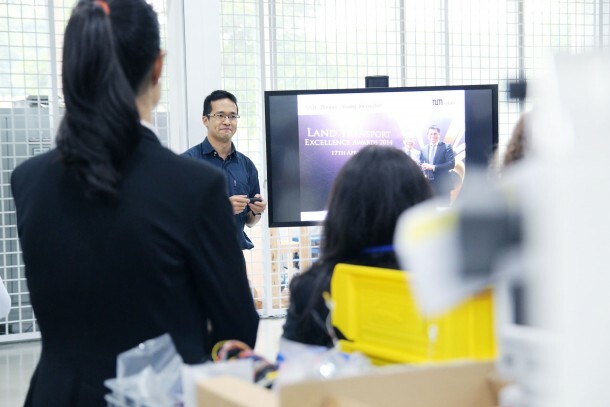 TUM Asia has been a milestone for German education, while TUM CREATE has done impressive research on developing solutions for the tropical city of Singapore”, affirmed Mr Sascha Kienzle, Head of Science Affairs at the Embassy of the Federal Republic of Germany. 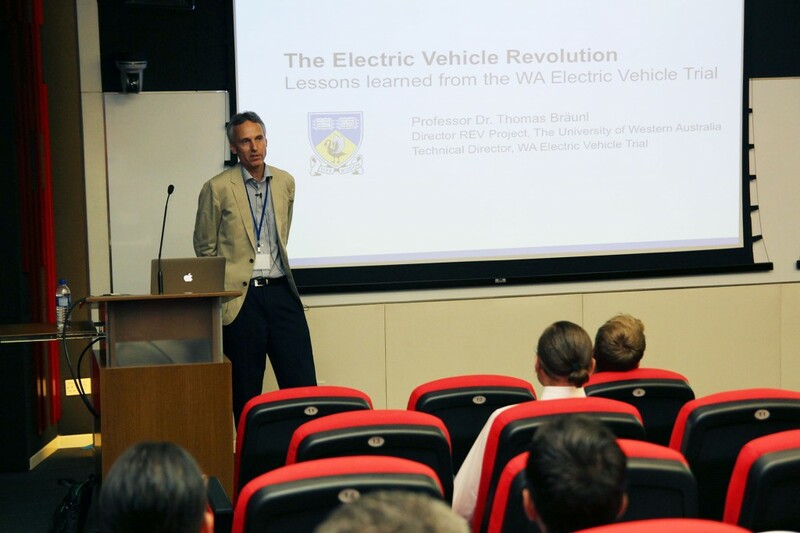 The importance of electromobility allowed many meaningful insights to be shared by the speakers. Prof Harry Hoster, Principal Investigator, TUM CREATE, shared that “the key challenge in Asia is air quality. The local climate must be improved before saving the global climate”. High pollution and gas needs to be eliminated and electromobility can provide a substantial solution to solve that. Electric vehicles will modernize and restructure urban traffic, which will have a significant impact on our landscape. “Once you have electric cars in the industry, you have to train the people in the industry on high voltaic mechanics”, stated Mr Volker Blandow, Global Head of E-Mobility, TUV SUD AG. 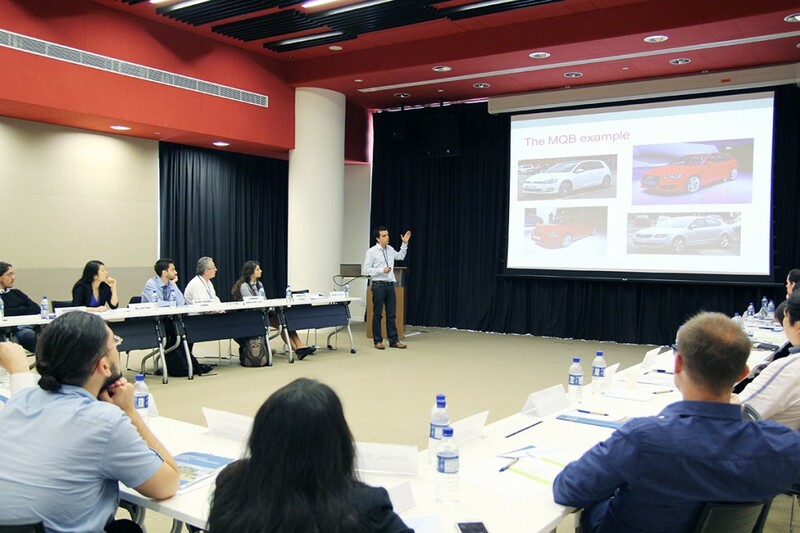 This seminar brought together a diverse group of speakers and provided them the opportunity to share their views on electromobility to participants from around the world. The participants also engaged in hands-on activities at the TUM CREATE automotive workshop and experienced the electric multi-purpose scooter and electric taxi for Singapore, while making unique cultural exchanges at the same time. This is extremely significant to what TUM Asia has been doing in Singapore. “TUM Asia brings global talents from around the world to contribute to the industry”, commented Dr. Markus Wächter, Managing Director of TUM Asia.